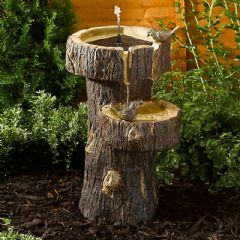 An adorable Smart Solar Frog Water Feature will make a lovely, whimsical addition to your outdoors. We adore this little chap: the fountain is solar powered so he will re-circulate water all day long (when in direct sunlight) producing a gentle stream of water into his leaf-edged bowl. 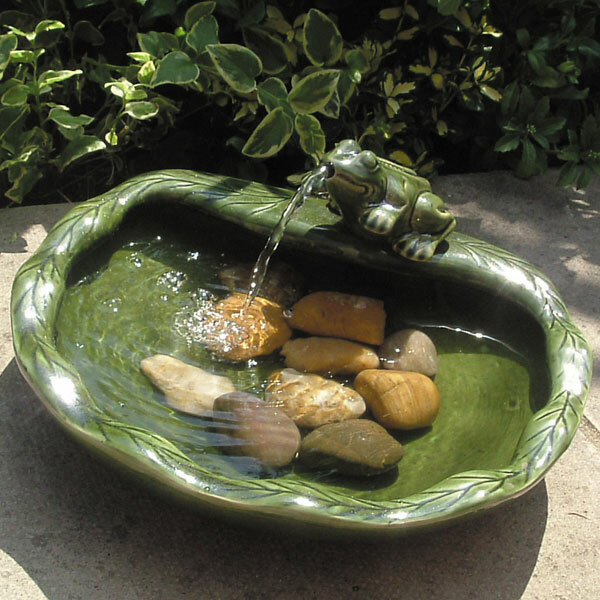 The water flows constantly through the mouth of the frog into the bowl creating a relaxing atmosphere in your garden or on your patio or balcony. It is powered by a separate solar panel which can be staked or wall mounted and has a 3m cable. 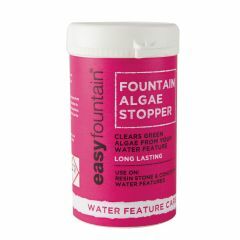 The water pump is low voltage and has a filter. Made from glazed ceramic with a separate solar panel, this delightful solar frog water feature will last you for years to come. Please note: it arrives in separate units for easy assembly. Looks fabulous surrounded by greenery in my garden, and the sound of trickling water is uplifting. Brilliant! looks really cute. I love it. Even better than the picture. My Frog arrived speedily, very securely packaged. I was delighted with the quality.,it was easy to put together. I out it out in the garden and expected it would take quite a while before it would work but at the first appearance of the sun, it sprang into action. It's lovely to hear the water gushing from the frog's mouth on and off as the sun comes and goes. 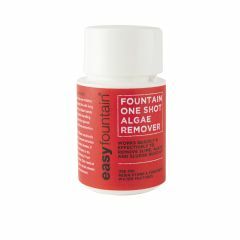 I recommend it and may even buy another one myself. Delivery time was just a few days. Item was well packed and secure. Easy to put together. 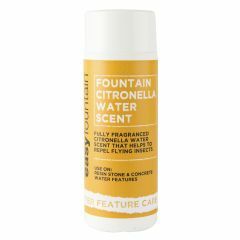 Works really well when the sun shines. 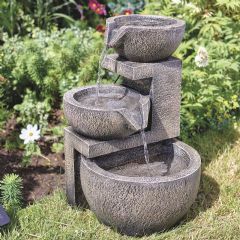 This is a great little water feature -- fits neatly into a corner and looks good. I was a bit worried that with it being quite small, I wouldn't be able to hear the sound of the water but you can and it is perfect. Easy to put together and a good buy. 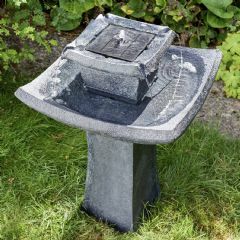 I have several of these little water features round the garden and they are most attractive as well as providing water for small birds in summer. Just put them away over winter to avoid frost and they will last for years. I have had this little chap in my garden about a week and it works great. As soon as sun hits the panel, it's off... for 5 hours or more in my garden till the shade covers it. It's bigger than I thought too, so great value. My solar frog arrived safe and sound within days of ordering. I can't wait for the better weather so it can go out in the place reserved for it by the arbour seat in a sunny part of the garden. I will try and get a photo to you then. Your service was so easy to use. Thank you.